TSG Consumer Partners has closed its eighth fund, TSG8 LP and TSG8 Parallel LP (the “Fund”), with an oversubscribed $4 billion of limited partner capital commitments. The new fund will continue the firm’s investment strategy of building value by growing both well-established and earlier-stage businesses and brands in consumer industries. The fund will primarily focus on high-growth consumer companies through equity investments between $200 million and $800 million. Sectors of specific interest include beauty, fitness and outdoor, food and beverage, personal care, household, lifestyle, pet, restaurant, and retail. Last summer, TSG made a minority investment in Privé Revaux Eyewear, a provider of affordable, high quality and on-trend eyewear. Privé Revaux was launched as an e-commerce and direct-to-consumer platform but has expanded into brick-and-mortar locations, branded kiosks, and pop-up shops in major department stores and retailers including Nordstrom, Express, American Eagle, QVC, and DSW (www.priverevaux.com). 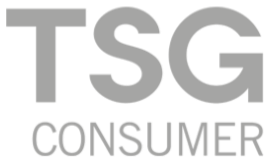 Other past and present portfolio companies of TSG include Duckhorn Wine Company, Planet Fitness, IT Cosmetics, REVOLVE, HUDA Beauty, BrewDog, Canyon Bicycles, Pabst, Backcountry, vitaminwater, thinkThin, popchips, Stumptown, Smashbox Cosmetics and e.l.f. Cosmetics. Founded in 1987, TSG was a pioneer in focused sector investing and one of the first private equity funds to invest solely in consumer companies. The firm has a proven track record of growing best-in-class consumer brands and businesses and is also unique in the number of women in its senior ranks and throughout the firm – 50% overall – driven by a belief in the value of diverse perspectives across an investment team. With the closing of the new fund, San Francisco-based TSG now has $9 billion of assets under management (www.tsgconsumer.com).